This Active Shooter Training Course (Online, web-based learning) is considered essential learning for those persons who may be exposed to Active Shooter or high-threat similar type incidents in the workplace. 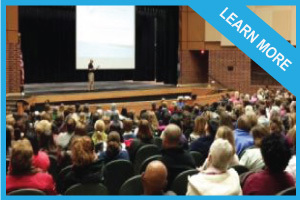 Educators, mental health workers, corporate employees, security staff and related Human Service professionals will find this information incredibly useful and relevant. You will receive a Training Certificate at the completion this active shooter training program. 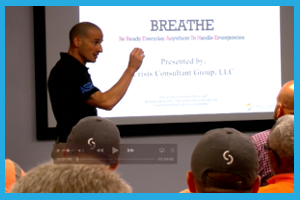 Covering lessons learned from recent events in history, this course provides attendees with a realistic set of skills and techniques to use before, during, and after such events to remain calm, make effective decisions, and assist in keeping themselves and others in their care as safe as possible. In addition, a simplified and incredibly efficient decision-tree is discussed and provided for participants to better understand how to respond effectively while minimizing harm and risk as a result of these incidents. 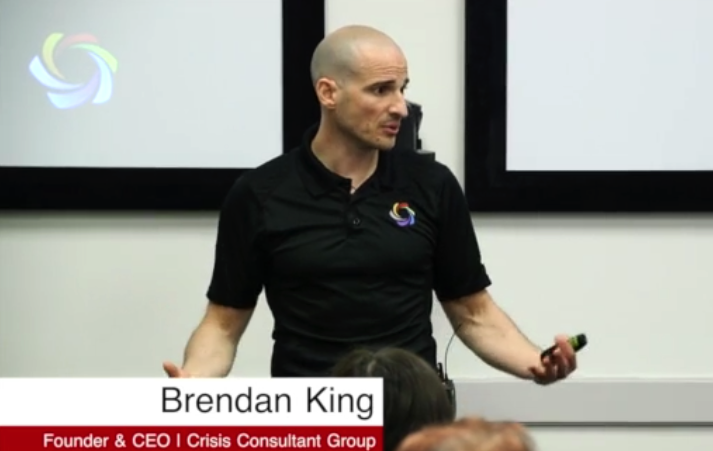 Led by Mr. Brendan King, CEO and Founder of the Crisis Consultant Group, LLC and assisted by ASR Division Lead Howard Scott, this course is not to be missed. Bringing over 4 decades of experience, dedication, and tactical knowledge from Law Enforcement, SWAT, Military, Mental Health, Healthcare, and Personal Security services combined, information provided is realistic, effective and based on the threats of today. 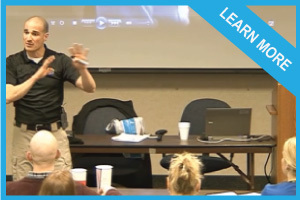 Filmed on location to a group of over 400 corporate professionals, this Active Shooter Response online course combines HD video, audio and PowerPoint instruction and materials to enhance the learning process. 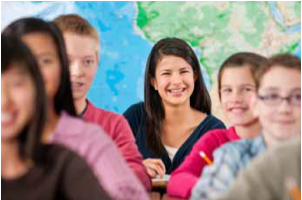 Course lasts approximately 1.5 hours and includes competency based learning checkpoints, a short assignment, and Training Certificate of attendance upon completion. It was a good course. I learned many non violent intervention techniques that I will be able to use in my job. Overall, this was a great online course! I like the online availability, and being able to stop when I needed, and come back to it the next day. Flexibility is important. Thank you! Information thorough and well presented. There were a lot of thought provoking situations used. I am pleased with the training. It is highly informative and practical. I have no other comments. It was really good. I was able to increase my knowledge. The presenter is very knowledgeable and makes the content interesting. This course provided me good information. It was an informative course that gave me something to think about and encouraged me to continue my education of the subject. I loved the content. You really get it and have proven you care. Thank you! A lot of new information. A lot of really helpful examples and videos. The course was thoroughly decent. I ENJOYED THE COURSE AND WOULD ACTUALLY LIKE TO HAVE A MORE HANDS ON TRAINING, MAYBE LIKE IF AN INSTRUCTOR CAME IN AND PUT US IN A SCENARIO TYPE OF SITUATION. The videos added a great learning compoenent to the material. 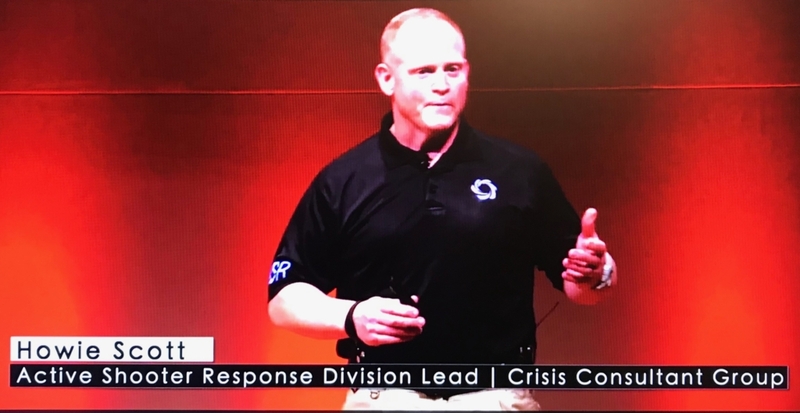 I am thankful that I had the opportunity to do this online training for active shooter course, I have learned important insights which I am hoping can help me become a better responder in the event a crisis situation happens. This was my first training and i thought it was very interesting. Very fluid and knowledgeable presenter. Easy to follow. Video clips were great to get a better understanding of how the situations happen in reality, glad I got a certificate in active shooter training online. 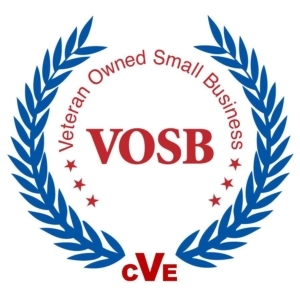 I was glad that the online training provided was done with audio and visual presentations. Actual video presentations and scenarios was really helpful and makes me immersed in the situation and be able to analyze the situation that may really happen in my line of work. 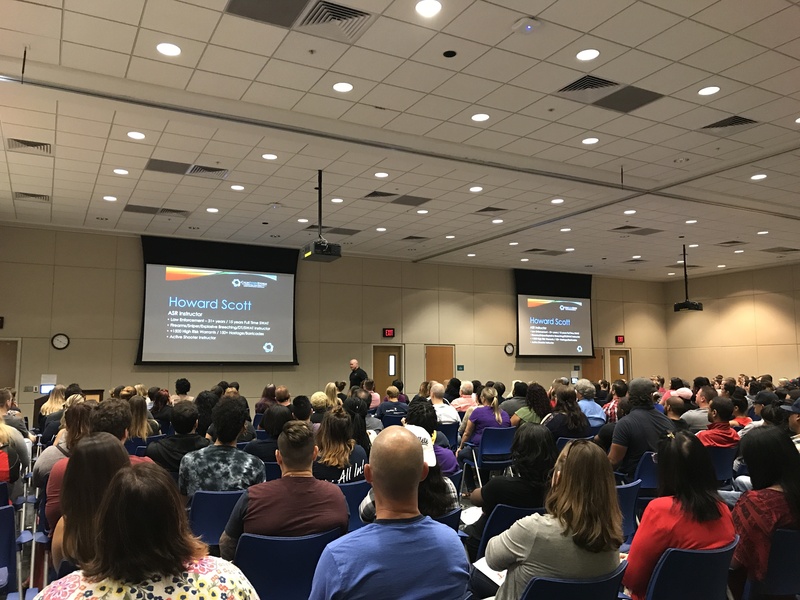 It was a great lesson in the best active shooter training tips and information, thanks. it was great and a solid explanation of what to do. This was one of the best courses I have ever taken. I loved how examples were used to show the techniques in action. By far the best active shooter training class I could find, great cost for this training class! Great how this training course is flexible with my schedule, and it's an affordable training cost. This course was very helpful and informative at the right cost. I was looking for training near me which is very hard to find, so I took the online course. This course was very informative, made me think about a lot of things differently. I feel like I can use the information in the course to both help and protect my patients. I learned many good things from Your course and will suggest it to others. I looked for classes near me and this presentation worked perfect for my certification needs. Overall well done. Useful information and exaples without extra fluff and well presented. Thanks! I liked to openess and the relatability of your training classes. A solid online training presentation with real world tips. I researched other training programs and this is the best I could find. Thank you for your sharing your wisdom and knowledge. I really enjoyed the real life examples of phrasing in the webinar, both from person in crisis and responder. I learned a lot. Thank you. I was looking for a training dvd and this online platform served the same purpose.